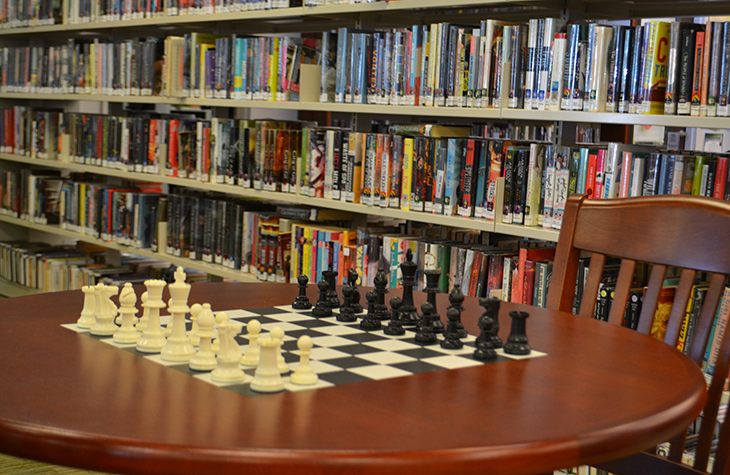 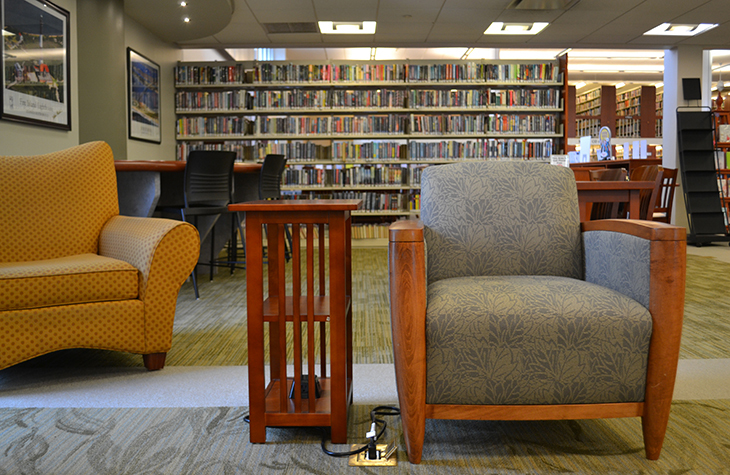 As a result of magazines and newspapers moving online, the periodical room of the West Islip Public Library had become greatly underutilized over time. 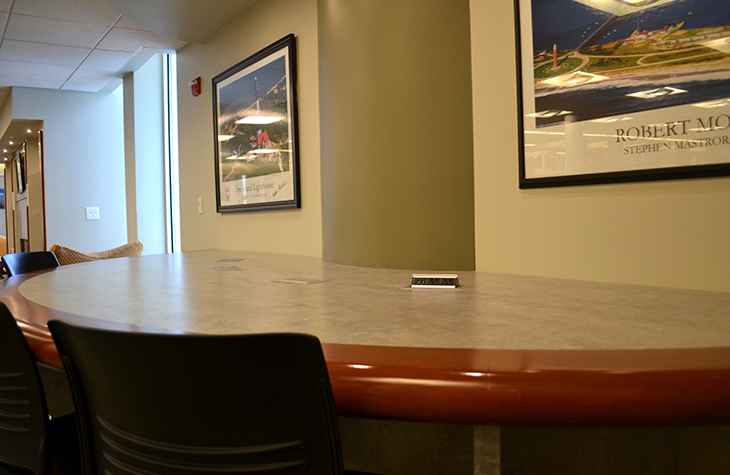 Meanwhile, library patrons had a growing need for a meeting room with video capability. 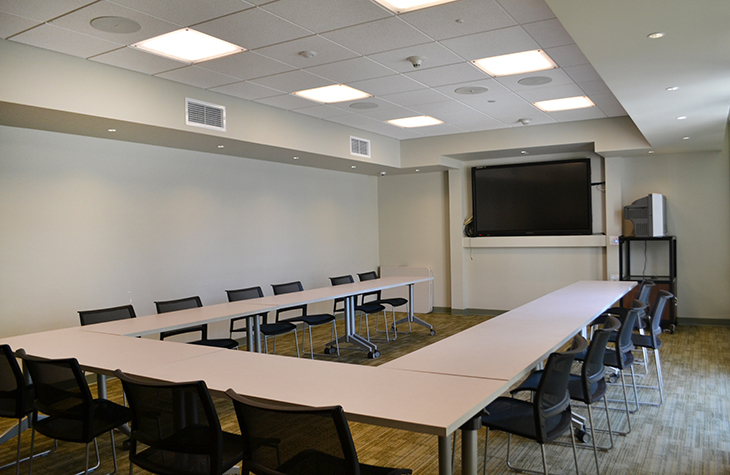 Our design challenge was to convert the room into a meeting room while still providing space for periodical displays and reading. 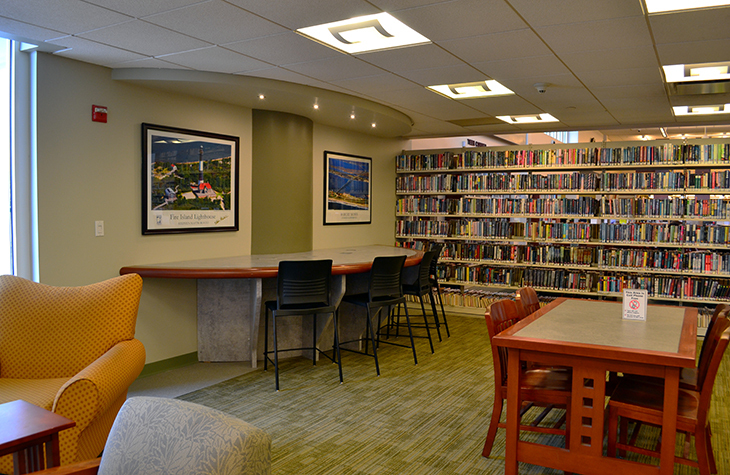 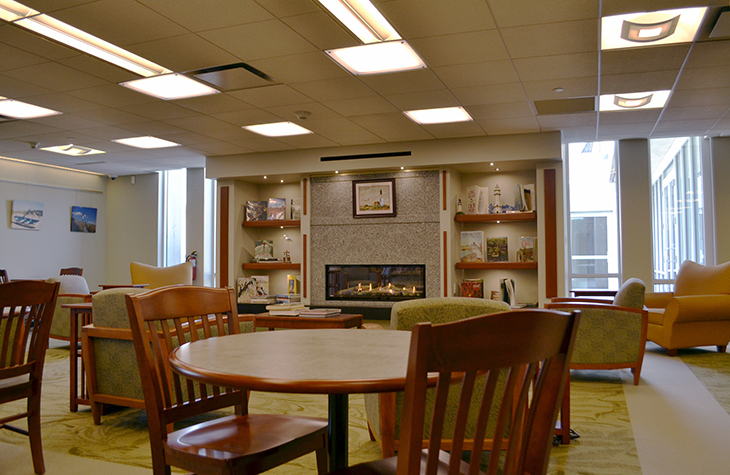 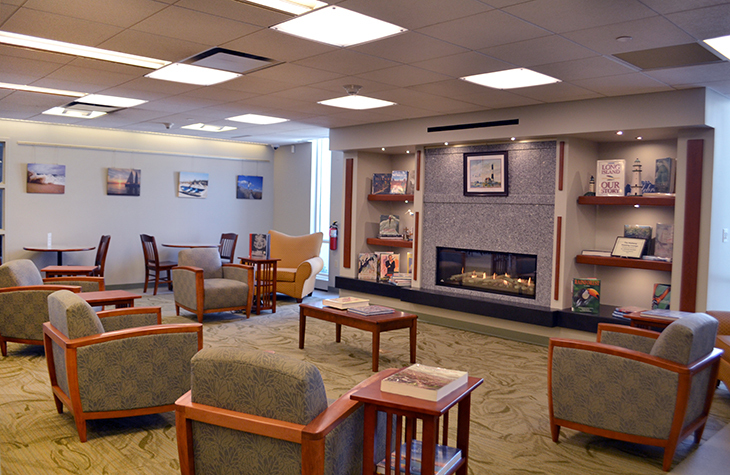 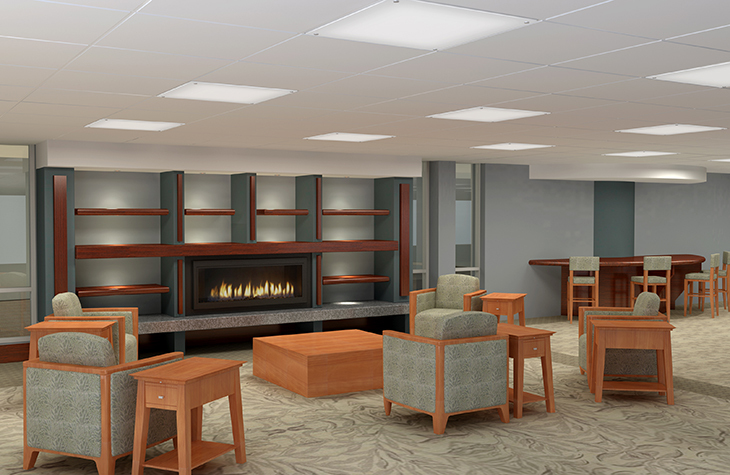 The library directors’ vision was to provide a hearth-side reading area with a cozy fireplace, coupled with a computer counter with power and data connections. 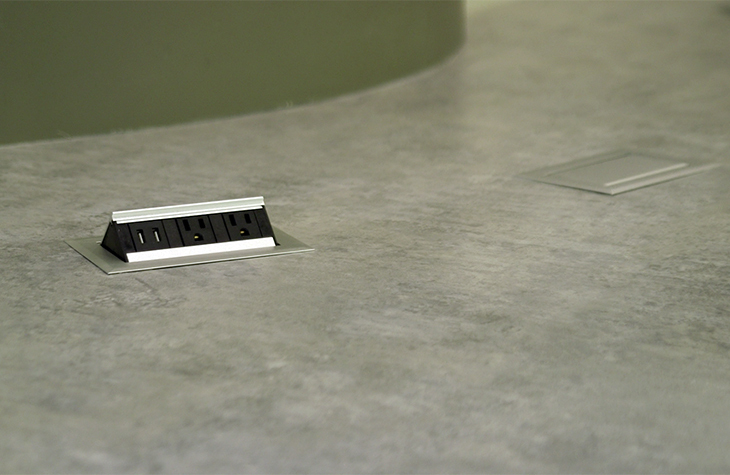 The seating around the fireplace would also have built-in power and data in the side tables fed from floor outlets. 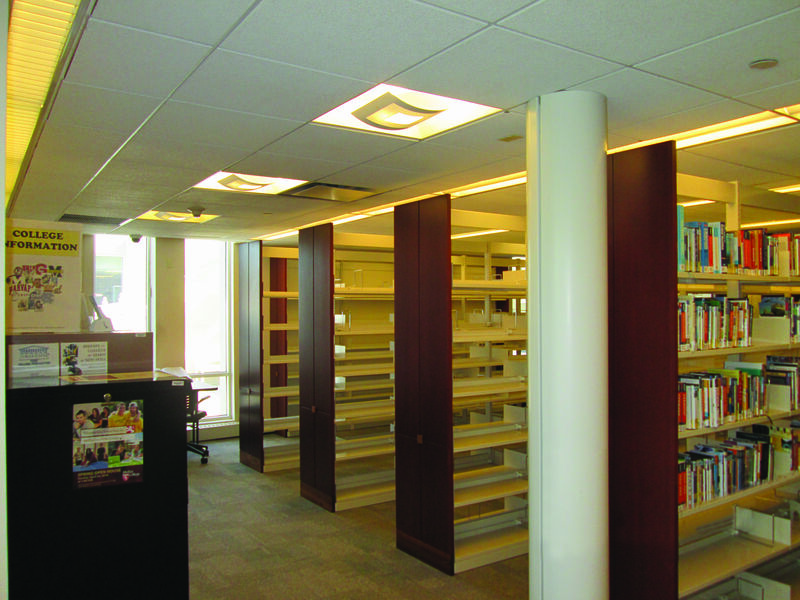 BEFORE: Periodical area was single-use, underutilized and lacking in power and internet connections.